I’ve owned and rented my beach home since 2004. 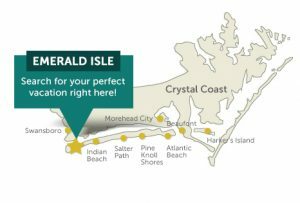 I love having guests come to the Point in Emerald Isle to experience the peace and relaxation (and a little fine dining and nightlife) that I have come to know in this amazing beach town. When I’m not visiting EI in the off season, I am a Certified Money Coach and a CPA and I help people with their financial needs. I have two grown children and love to read, dance, hula hoop, meditate and hang out with amazing friends (and some family too).